For in-store inquiries, use sku #2356941. Akris top in fluffy mlange knit. Front tulle stripe inset. Crew neckline. Sleeveless. Relaxed fit. Pullover style. Imported of Italian materials. 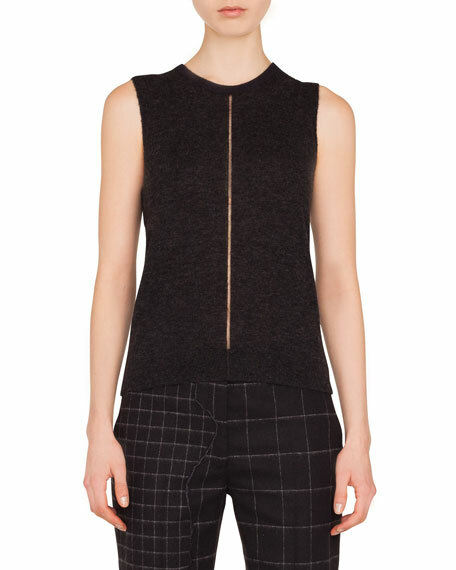 Akris sweater top in fine-gauge silk stretch knit with angled seam detail at shoulder. Crew neckline. Sleeveless. Slim fit. Pullover style. Silk/spandex. Imported. 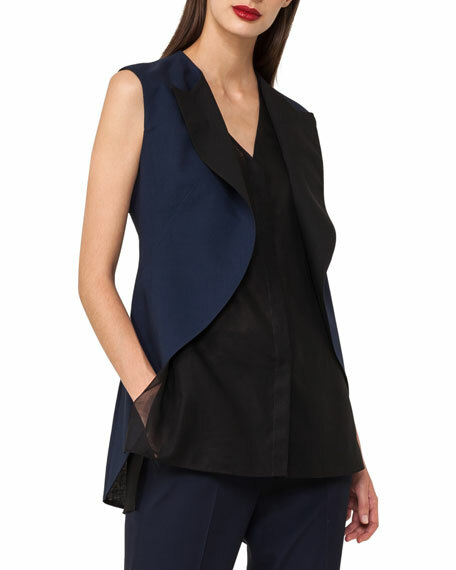 Akris knit top with zigzag tulle inset at front. V neckline. Long sleeves. Slim fit. Pullover style. Cashmere/silk/spandex. Imported of Italian materials. 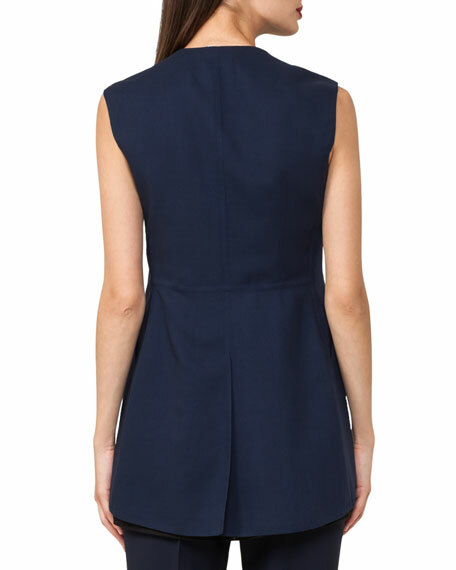 Alice + Olivia "Lura" top. 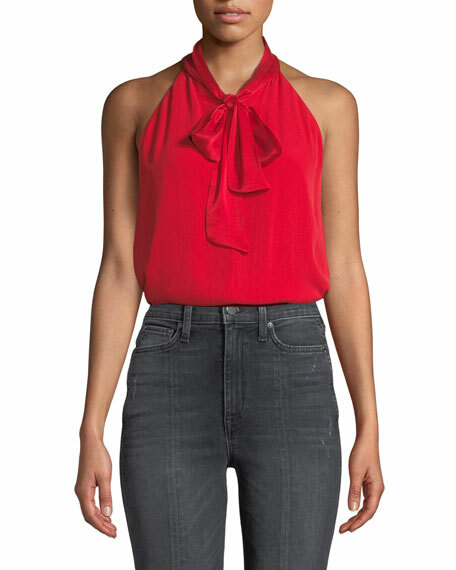 Self-tie neckline. Sleeveless. Relaxed, drapey fit. Slipover style. Silk; combo silk/spandex. Polyester/spandex lining. Imported.